If You Make It has posted some footage from Bomb the Music Industry!. It features Jeff performing "Cold Chillin’ Cold Chillin’", the first track from their new album Scrambles. You can see it below. Mr. Rosenstock also recently contributed a Favorites list: check it out. 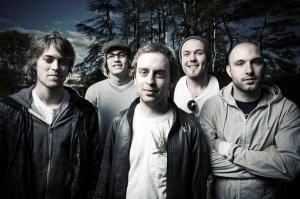 mewithoutYou, The Dear Hunter and Kay Kay and His Weathered Underground have confirmed a tour together. 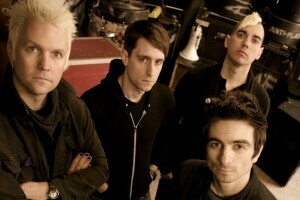 SideOneDummy Records has announced that Anti-Flag will be releasing their next album via the label. The record is titled The People or the Gun and is due out June 9, 2009. The record comes after the band finished their two-record contract with a major, RCA Records, the band built a studio in Pittsburgh, Pennsylvania, their hometown, to cut their first release for SideOneDummy. A portion of the proceeds from the new album’s pre-sale on the SideOneDummy website will be donated to Amnesty International. Check out a song from the record here. Rancid have announced a tracklisting for their highly anticipated new full length. The record is titled Let the Dominoes Fall and is due out June 2, 2009. The record is the first new full length since 2003’s Indestructible. In the intervening years, the band remained active with extensive tours as well as a number of solo and band releases like B Sides and C Sides and The Music Videos: 1993-2003 DVD. The band will be supporting the record on a co-headlining tour with Rise Against and supported by Rancid / Riverboat Gamblers and Billy Talent. Rivers Cuomo of Weezer fame has announced plans to release a new CD/DVD titled Live At Fingerprints. Due out April 28, 2009, as the name implies, the release documents Cuomo’s visit to Fingerprints Record Store and features live tracks performed by Rivers from Weezer and his solo albums. Big Business have announced a tour with Tweak Bird. The shows are in support of their upcoming album. The record is titled Mind The Drift and is due out May 12, 2009. Our Stronger Than All Playoffs coverage begins with 1Shot facing off against Frag Inc. on Area 22. Tune in Wednesday night at 9:30 EST. Head over to EnemyTerritory.tv and read the writeup! Note: According to Fish’s latest post, this match was re-rescheduled to Wednesday night. Our stream today comes from Vancouver, BC-based Living with Lions. We’ve got a stream of the band’s new full EP, Dude Manor. The EP is due out April 7, 2009 and precedes their new full length, Make Your Mark due July 21, 2009. .
El Nuevo Grupo De Omar Rodriguez Lopez, the new band from Omar Rodriguez Lopez of The Mars Volta, have posted a trailer for their forthcoming debut. The record is titled Cryptomnesia II and is due out May 5, 2009. Along with the Mars Volta guitarist, the band features frequent collaborator (and Mars Volta bandmate) Cedric Bixler Zavala, Zach Hill of Hella, Jonathan Hischke and Juan Alderete de la Pena. There are also rumours that the Mars Volta will be releasing a new full length in June. It would be the first since The Bedlam in Goliath and is currently titled Octahedron. Dave is a badass… We stayed at his house when our van broke down in Fresno on the Warped Tour and it just clicked. He came in, killed it on the TSOL tour, and has brought a whole new energy to the band. Roy is an old friend and amazing drummer who will definitely be missed. We wish him all the best and there are no hard feelings. The band will be supporting Bouncing Souls next month. Rehasher, the skate/pop-punk side project from Roger of Less Than Jake has wrapped up recording and mixing for their second full length. The band recorded the album this past December at the Moathouse Studio in Gainesville, FL and mixing was performed by Stephen Egerton last month. A release is expected soon. The band released their debut Off Key Melodies in 2004. I really want to give you the lowdown on the SW re-formation but there’s honestly not a lot to say. Legal issues prevented me from doing my own band on my own terms over the past couple of years but thankfully those problems are all resolved now. The kind of stuff happens sometimes. I won’t deny that those problems – which were really just the culmination of many years of a lot of other b.s. – left a foul taste in my mouth about SW.
As Ben notes, the band will be playing Austin, TX in June.